Go to AdoptAClassroom.org and input your basic info to create an account. You’ll be directed to your Teacher Dashboard where you can enter additional information about your school and students. Take a few moments to write a description of how you intend to use donated funds. The AdoptAClassroom.org team suggests you start with a clear and specific list of classroom needs, then develop a narrative to tell your story. Read this ACC blog post for more information on how to make your classroomstand out! Engaging your social media network is one of the fastest ways to fund your classroom. Sharing stories, taking photos, and posting short video clips will inspire donors to contribute to your cause. Read this step-by-step guide for details. For additional graphics and tips, check out this AAC Social Media Toolkit. Once donations come in, it’s time to shop! Head over to AdoptAClassroom.org’s online marketplace to shop for the items on your list. You can search by category, vendor, or product. Learners Edge is thrilled to now offer continuing education courses as part of the AdoptAClassroom.org Marketplace. Select courses to fit your professional learning goals, while also meeting license renewal or salary advancement needs. For a video walk-through of the marketplace, watch this tutorial-- Marketplace. Increase the likelihood of repeat giving with a timely and personal thank you message. Donors will appreciate staying connected via photos, kid-created artwork, and updates on the positive impact of their donation. Read up on The 3 Most Important Rules for Thanking Your Donors. 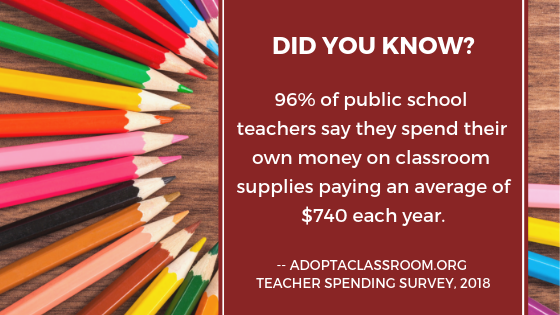 Now that you know how darn easy it is to begin crowdfunding for your classroom needs, hop over to AdoptAClassroom.org and create your page today! 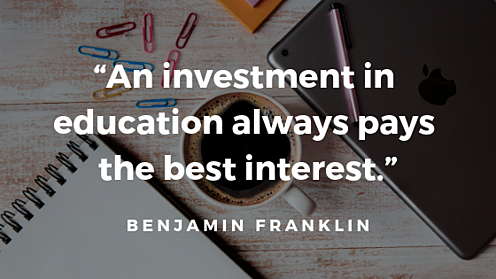 Show off the great work you’re doing and make a case for the funding your students deserve. Don’t be afraid to dream big! Looking to learn more about educational grant sources and how to find a good match? Or want to know the various parts of a typical grant proposal and how to write one that is more likely to get funded? Enroll in Learners Edge Course 5085: Get that Grant! Grant Writing for Teachers and hone your grant writing skills.